*We will still need to work together to make sure this means affordable to the right people, the ones in the neighborhood now. 1. Ask your Council Member to sponsor it, or thank them if they do! Hi, my name is ____________ and I am a constituent of Council Member _____. I am calling to thank the Council Member for co-sponsoring the Housing Not Warehousing Act, and to say we’re counting on them to vote YES when Intro 1034, 1036, and 1039 come to a vote! Hi, my name is ____________ and I am a constituent of Council Member _____. I am calling to ask the Council Member to sign on as a co-sponsor of the Housing Not Warehousing Act, a landmark package of bills that will empower the city to finally quantify vacant buildings and lots throughout the five boroughs, and create pathways to transform these properties into housing. Please call [Central Staff?] and add your name to Intros 1034, 1036, and 1039 today! 2. Endorse the Act with your garden group, block association, business club or organization! Join 596 Acres in endorsing these bills! To become an endorser, email jenny@picturethehomeless.org. The more of us that speak out in favor of this Act, the louder our voices! 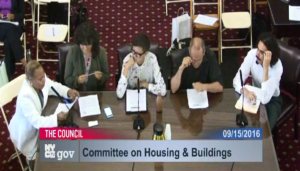 596 Acres testified in support of it before the New York City Council Committee on Housing and Buildings in September 2016; read our testimonies here. 3. Join Picture the Homeless’ Twitter Rally this Thursday, November 16 at 11am! What to share below. Full information with photos to share here. Photo courtesy of Ryan Hickey. 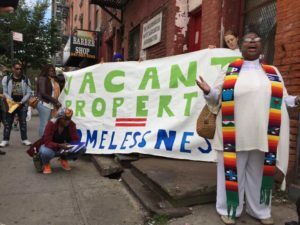 Thank you @TishJames, @ydanis & @JumaaneWilliams for committing to pass the #HousingNotWarehousing Act this year!! 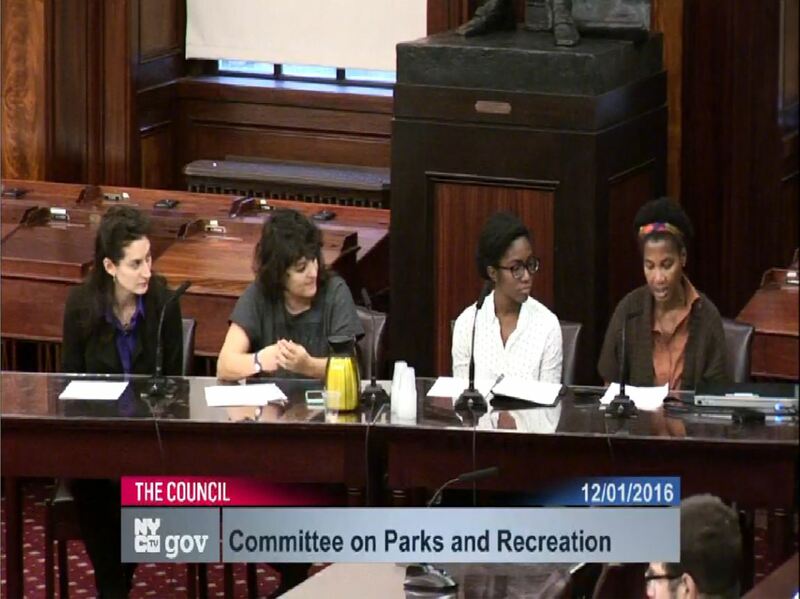 Thanks @BilldeBlasio @NYCHousing @MTorresSpringer for helping fight vacant property. #HousingNotWarehousing Act is how we win. 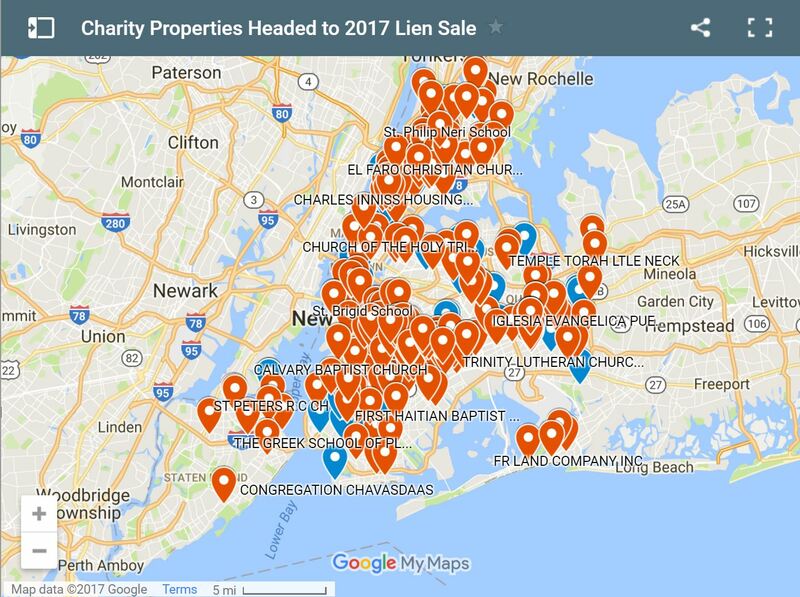 With 60k+ in shelter, every vacant building/lot counts. Help us count them. Pass #HousingNotWarehousing Act today. Images to download for use in the Twitter rally here! 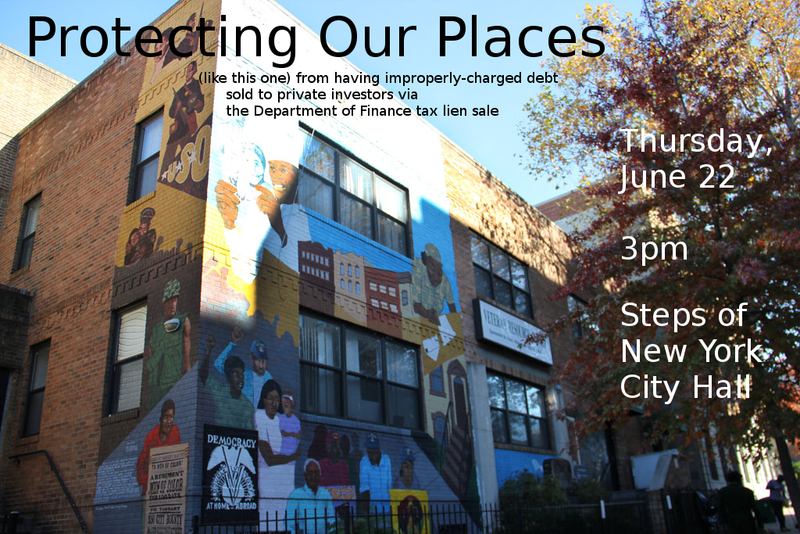 By mandating that the City inventory our vacant public property holdings, opportunities for residents and communities to partner with the City to steward this public land for public good (i.e. permanently affordable housing, community and cooperative space) will become more visible. This community visioning session will highlight the potential!